1: Heat oven to 425 degrees. Place potatoes in a small pot and cover completely with generously salted water. Bring water to a boil and cook potatoes until fork tender, about 10 to 15 minutes. Drain and allow potatoes to rest until cool enough to touch. Using the palms of your hands, carefully smash potatoes until flat but still in one piece. 2: Place potatoes on a small rimmed baking sheet or pan. Drizzle with duck fat and add rosemary and garlic to pan. Generously salt and pepper potatoes. 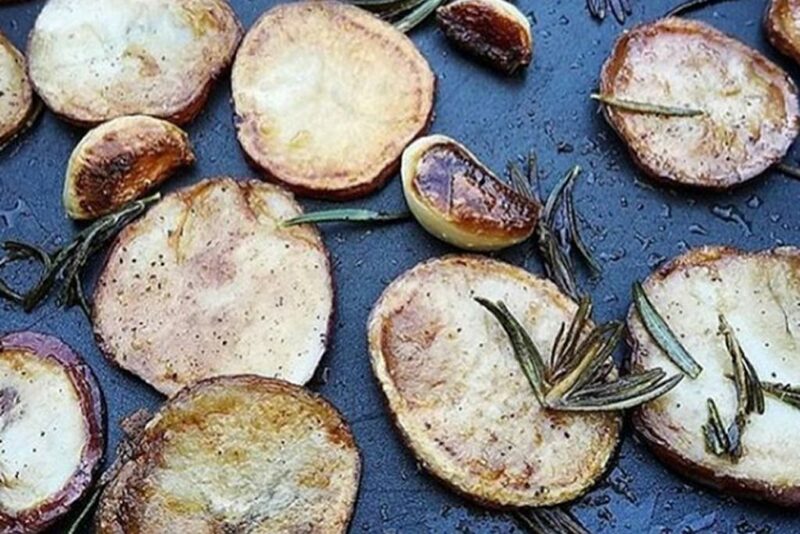 Gently toss potatoes until evenly coated with the duck fat. 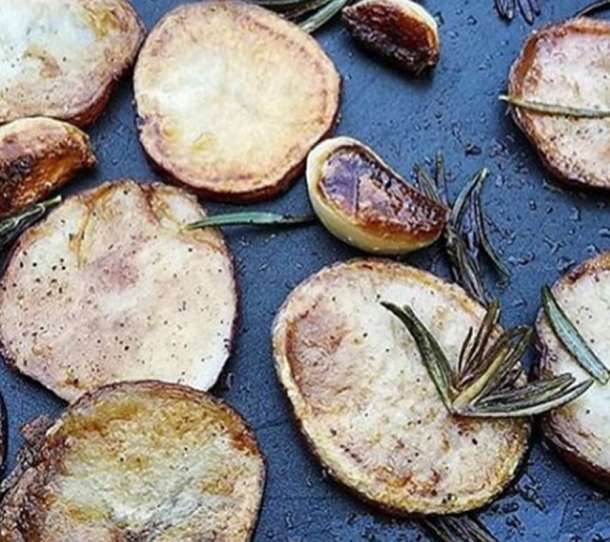 3: Roast potatoes for 20 minutes. Flip them, then roast an additional 8 to 10 minutes. Serve warm.